Much ink has been spilled these last four years writing about Pope Francis. Since his elevation to the Papacy, Jorge Bergoglio has given reason to spill ink on an almost daily basis. He has given many interviews in which he provides ammunition to the enemies of Christ and her Church. He has surrounded himself with Cardinals who were, for the most part, considered radically liberal and had been pushed to the wayside. He continues to undermine the pontificates of his predecessors, Pope Benedict XVI and Pope John Paul II, by his attacks on the family, the Liturgy, tradition, and everything Catholic. He undermines Jesus Christ by creating new teachings that are contrary to what Our Lord has given us in the Gospel relating to divorce and remarriage. His latest assault on the Church is against the priesthood. He suggests that Catholic men who have been married may potentially be able to become priests, a practice which hasn’t existed in the Roman Rite for close to 1900 years (except converts from Anglicanism or Orthodoxy). Pope Francis must sense that something is afoot and that his time as the Pope is coming to an end. His novel teachings of blatant disregard to Catholic teaching are becoming more accelerated, quicker, and more frequent. Four years ago it was every few weeks in which he said or did something scandalous; now it is a daily occurrence. Perhaps the thought of the canonical penalties of refusing to respond to a dubia are weighing on him? To say that the conservatives and traditionalists are unopen to the Holy Ghost is, quite possibly, one of the saddest excuses I’ve heard to defend this man. A Pope can’t change teachings of the Church which have excommunications on them. A Pope can’t change the teachings of Jesus Christ. 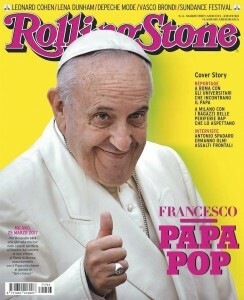 This Pope attempts to and receives praise for it. Clergy who argued with Pope Benedict XVI and Pope John Paul II about the need to change Church teaching are strengthened by Pope Francis. These clergymen continue to wreck havoc with their false mercy allowing those who are unrepentant to receive access to the sacrament while ridiculing the repentant as being too rigid. 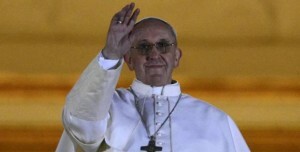 No other Pope has been as popular by secular culture as Pope Francis is. Jesus Christ was crucified by the society in which He lived, for our sins; Pope Francis is set on a pedestal and praised for his inclusiveness and mercy. Meanwhile, Pope Benedict XVI and Pope John Paul II were regularly mocked by the media and society in general. Pope Francis will likely go down in history as one of, if not the worst Pope in the entire history of the Catholic Church, putting to shame the horrendous papacies of the 1000s and Borgia Popes of the 1500s. While those Popes lived disgusting, vile, and sinful lives, they at least taught the Catholic faith as it had been given to them. Pope Francis, on the other hand, teaches a doctrine contrary to what has been given to him and lives a life that matches that heretical doctrine. It has been four years of this pontificate, and I will not bore you with anymore (at least in this post). For those who follow this blog regularly, you know where I stand. May the Lord spare us any more of this non-sense.